Mrs Watson Knit-Along: the Wrap Up! That’s it, that’s all she wrote! Our Mrs Watson KAL finished up last Wednesday, and we had such a great time knitting this shawl along with all of you. We had a good number of knitters participate and finish within the 6 week time frame—a few people even finished their shawls in just a week or so! My Mrs Watson shawl is very nearly done! I had great plans to finish it over the weekend and then ran out of yarn. 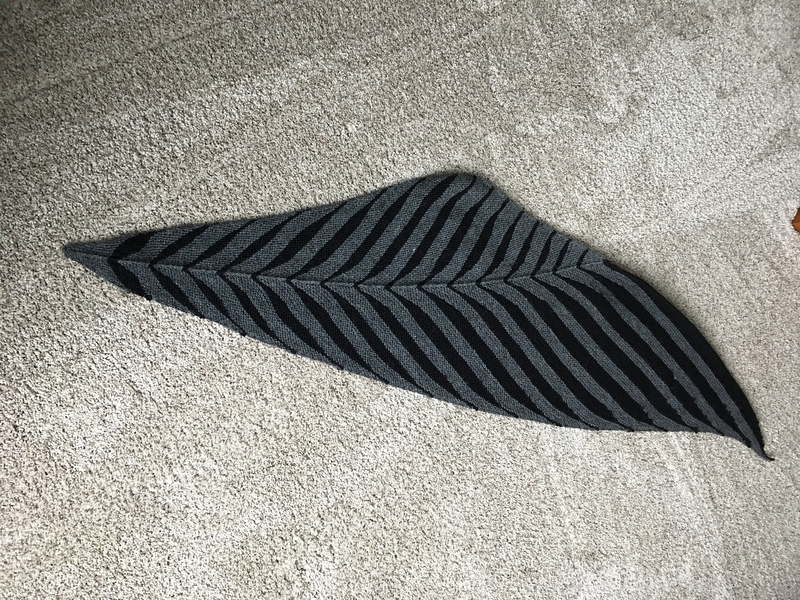 But I’m so close to finishing—just need to find time to knit one more body repeat pattern and the final leaf and it will be off the needles! I’m really happy with the way it’s coming out, I’ve just been busy knitting samples for the fall and winter collection that I haven’t been able to put as much time into this shawl as I would have liked. Here’s a few of the great projects from our participants! 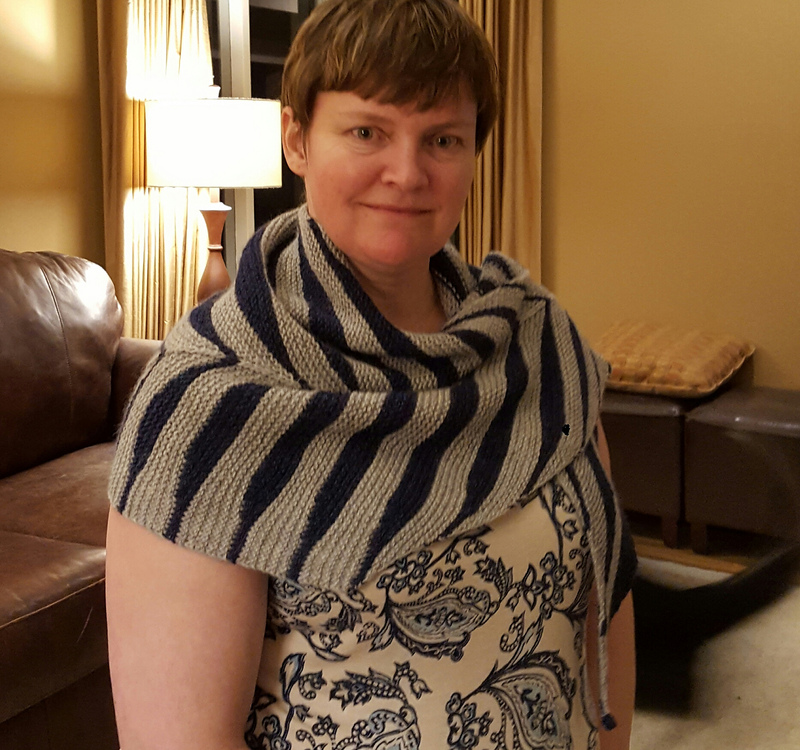 Berroco super-fan Myriam participated in yet another knit-along and once again, knocked her project out of the park. 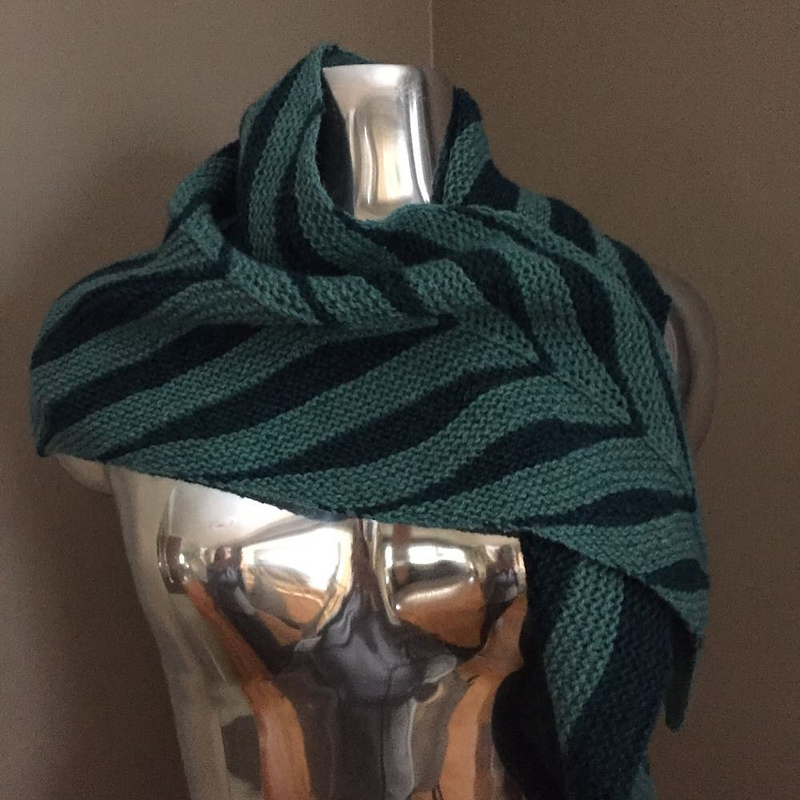 Myriam used Berroco Ultra® Alpaca in Barley and Seedling Mix with one leaf worked in Melon Mix. You can see a more-full version of her shawl in the photo at the top of the page, but this photo gives you an idea of how nice of a wrap the worsted-weight version makes. Ravelry user Dunskins went above and beyond, knitting TWO Mrs Watson shawls within the time frame of the knit-along. For her first Mrs Watson, she used the called-for yarn of Berroco Ultra® Alpaca Light in Oceanic Mix and Turquoise Mix. For her second Mrs Watson, dunskins used our new DK-weight Berroco Remix® Light in White, Brown, and just a little bit of Red. ksheaperk also used Berroco Ultra Alpaca Light for her Mrs Watson, and chose the Zephyr and Buttercream colors. Bufknitter used the colors of Berroco Ultra Alpaca Light used in the sample, Moonshadow and Blueberry Mix to knit her great Mrs Watson shawl. And dadkins also used Berroco Ultra Alpaca Light for her shawl, but changed up the colors to Candied Yam Mix and Barley Oats. Sabertoni used two dark neutrals in Berroco Ultra Alpaca Light for her version. And Julie also used the original shades for hers! Did you participate in the Mrs Watson Knit-along? Let us know if you have a photo out in the world to share with us! A huge thank you to both Amy and Amy for another fun KAL. My shawl will be my mother’s birthday gift, and I’m really proud to give it to her.